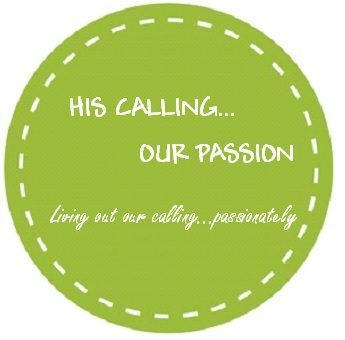 Living out our calling… passionately. As my great aunt was aging, her daughter and niece, my mom, were organizing her home and packing her possessions in order to move her into a retired living home. After days of packing old photos, precious keepsakes and years of memories they came across a tiny little box wrapped tightly and sealed with the words “pieces of good things” inscribed on the top. Such a tiny little box, saved for so many years with such a mysterious inscription left us with many questions. “What do you think is in there, mom?” I so often asked, begging and pleaded with her to find out. I pondered those words; Things like that. I looked forward to when my hair will be gray and my face full of experience; what pieces of good ‘things like that’ would be found in my tiny little box? Perhaps you would find the button that I had always meant to sew back onto my favorite dinner-stained apron or the piece of ribbon my daughters wore in their hair, so tattered by then that it wouldn’t be strong enough to hold a bow, but it would never cease to hold the memories of little girls in pigtails, helping prepare meals. It may be you would find a little pansy that had been flattened and dried deep in the pages of a book that would take me back to that day in the field where my children and I laid out on a blanket, lost in a story together. In the box you may come across the pencil that my son used every day for school, sharpening it down to a half of an inch; insisting that it was never to short. It was a battle I chose not to have and as I look at it and I will laugh because in that little piece of pencil I will be reminded of the beautiful words that were written. The pretty little rocks brought to me day after day; never an annoyance, but a gift from little hearts. The little fingernails I got to clip; not a chore, but a privilege to be the momma to care for those little ones. The marked up post-it notes with illegible scribbling on them; not garbage, but notes so intentionally written to me by a child that was not yet able to put words to paper. The little pieces of moss they collected off the trees because they knew it is my favorite color. The fishhook used to catch their first fish. The missing game piece we had searched for but never found, until they left home. These are all small, seemingly unimportant things to anyone else; things that if found by a stranger would be tossed into the wastebasket but to the one that placed them in the box, those little treasures were the memories that made a life. I may never know what that tiny little box of my great aunt’s holds but I do know that with her age came wisdom and understanding and the lesson taken from this older, wiser woman is one that should be held onto tightly. Although the large things in our lives mark time; graduations, weddings, new babies, big moves; it is the little things you find in the space between that make our lives full. Do not overlook the little pieces of good things. Hold onto and treasure them. For at the end of the day, at the end of our life, they will be our most cherished possessions. Life is pieces of good things.